Looking for a Document Management Systems in Kenya? 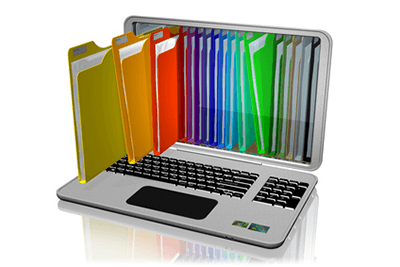 Document management Systems in Kenya are becoming very popular. Companies in Kenya need software that for document storage and document archiving more than ever before. More and more companies are looking for document archiving, document work flows and better access to their company documents. Tech Edge has put together a guide you on how to choose the best Document Management System especially for companies either based in Kenya or those that have a presence in Kenya. This article clearly outlines the challenges that companies in Kenya face regarding Document Management as well as must-have features your Document Management System must have in-order to deal with local challenges and the easiest way to get started with implementation quickly. The paper is piling up, and you are running out of storage space for your files. Finding documents involves a depressing visit to the archives, in the half hope that you will find what you need. Daily management of these documents may also prove to be a challenge for most Kenyan organizations that lack a proper document management mechanism. This challenge grows as the pace and scale of communication increases in this digital age, generating more documents than anyone previously imagined. Each day, millions of paper documents are generated from business transactions and operations leading to numerous documents usually require elaborate hardware and software systems that are up to the challenge. The sectors worst hit by this document management crisis are usually finance and micro-finance, insurance, health care and even small to medium sized organizations needing a solution to store and archive documents in a flexible and efficient manner. 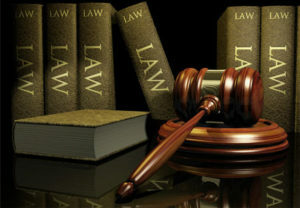 The need to have all information available and easily retrievable is especially relevant in Kenya, where according to the Kenyan laws, legal documents, employee records, financial records and other relevant documents must be retained in original form for at least 7 years. Firstly, all hardcopy documents should be scanned into a DMS solution and linked to archive files so that at any one time, a person looking at a scanned document can know exactly where the hardcopy document is physically, should there arise the need to retrieve it. The hardcopies should also be linked up with other related documents generated by other means, such as via email or MS Office. A good document management solution should ensure that all your hardcopy documents are converted to soft copy, which are then available for quick and easy search with just a few clicks. Your Document Management System should have have all your documents available to you wherever you are around the world, with the robust access level management systems giving you the flexibility to get things done wherever, whenever you wish and on any device including smart phones, I-Pads or computers. This will help you stay competitive by easily responding to your clients, partners and team-mates faster, furnishing them with whatever documents they need at the drop of a hat. Workflows are also increasingly being embraced by Kenyan organizations as their processes become more complex even as the need for speed and efficiency increases. A document management system should not only meet these basic criteria, but should also allow for the creation of workflows to manage and streamline your common processes such as invoice processing, managing the sales pipeline, staff recruitment, and project management, just to name a few. For example, when an invoice comes in, all relevant parties should be notified. They should then be notified via email whenever necessary as the invoice passes from checking, to invoice approval, to payment instructions and to disbursement stages in its lifecycle. Each staff member should have their own virtual in-tray management system to keep them updated on which documents and assignments that require their attention. You should no longer have to print out documents for signing whenever approvals are needed internally (and sometimes even externally). A document management system should help you save on printing costs such as purchasing printers, paper and cartridges. A Document Management System that supports Digital Signatures is a must have if you need your staff to handle approvals while on the move, keeping your business or organization running smoothly at all times. Approval steps that happen digitally, increase efficiency in an environmentally-friendly manner creating a better environment. Kenyan companies are also waking up to the need for information security, as information increasingly determines competitive advantage. Incidences of document and content leakage with malicious intent has become common. Documents, client information, project information, employee data and any other form of organizational content should only be visible to those who are allowed to see it. Only those with the right permissions they should have the rights to edit or delete the content that they can see. A document management solution should come with in-built scaled security, allowing you to determine who can access, read, edit or delete a document. These document management and security settings should be set by department, by department, by level of seniority, by project, by client, by individual user or some combination of these criteria. It should also generate a log of every activity that takes place within the system so that whenever the need arises, relevant managers can check back to see who retrieved or edited which documents, when and at what time. Such information security is critical for any organization in Kenya which is concerned about the rising cases of fraud and information theft that have become part and parcel of the information age. Imagine what would happen if your office burnt down, or your servers crashed, or a senior executive deleted lots of important documents by mistake? Your organization would be in trouble. A disaster recovery mechanism must be put in place to ensure that all your documents are backed up to a remote location and that these back-ups can be called up and restored in the shortest possible amount of time. Think of it as document management with a Plan B. 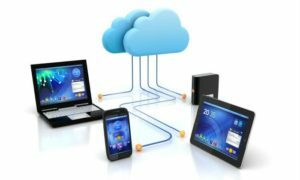 If you are shopping around for a document management system in Kenya, you might be wondering which option is better for your system; to house the system inside your business, or have it hosted in the cloud. While both options provide you document storage and management, you need to look at your budget, organization capabilities and work preferences to decide which option best suits you. The Document Management System you choose must support both self-hosted and cloud-based solutions to allow your the flexibility to switch from one to the other as your Company needs change with time. It’s all fun and games and until you need support with your Document Management System and the technical team need to fly from wherever they are to Kenya. The travel logistics would be a nightmare for your organization as documents must be accessible at all times and issues must be handled and resolved as fast as possible for business continuity. 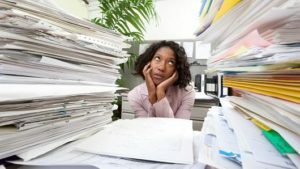 Are hard copy documents and numerous filing cabinets overwhelming you, or do you keep losing track of even softcopy documents? Make sure you always find each document the moment you need it with our world class document management system solutions. Contact our offices in Nairobi, Kenya to help you implement a Document Management System that is tailored to suit your needs.